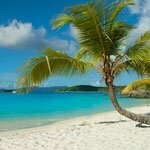 St John’s North Shore beaches rank among the world’s most beautiful beaches and are some of the nicest in all of the Virgin Islands! 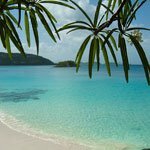 Turquoise water meets soft white-sand rimmed by tropical coconut palms and seagrapes – with most of the land and sea protected within the US Virgin Islands National Park. 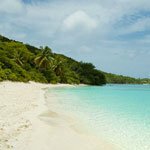 Don’t miss Trunk Bay beach, Caneel Bay beach , Cinnamon Bay beach – they are several of the nicest St John beaches! 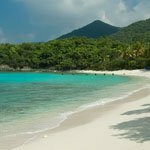 There is taxi service from Cruz Bay and these (3) beaches have amenities that most of the other beaches do not have. 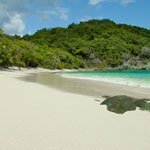 Cinnamon Bay beach is the longest beaches on St John. 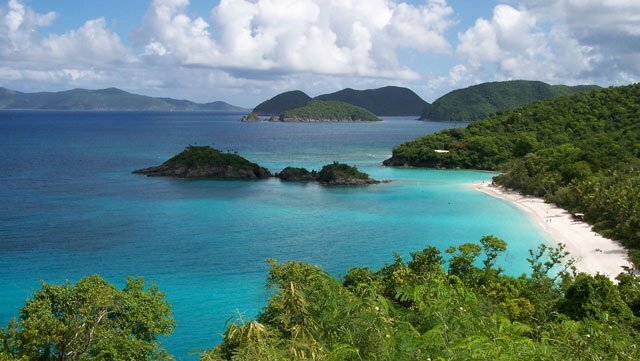 It has the same soft white sand, aqua water and small cay off the beach – just like Trunk Bay Beach. Facilities include a camping, snack bar/grill, souvenir shop, showers, restrooms, public telephones, and water sports rentals. 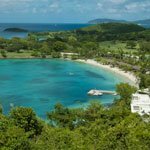 One of the more popular beaches; Hawksnest Bay beach shares a cove with Oppenheimer Beach and Gibney Beach on St John’s north shore. The beach is narrow and long with plenty of spots to grab some shade under the Seagrapes. Water access is easy with shallow water and sandy bottom. With a fair amount of parking, bathrooms and grills and picnic tables this is a great spot to spend a day. 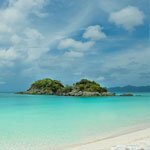 This beach gets a fair amount of visitors – so grab your spot early! Perhaps the most beautiful off-the-beaten-path St John beach. 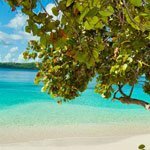 Denis Bay Beach is a long crescent of white sand leading to beautiful aqua water. snorkeling isn’t as good as some other locations; but this is definitely a must visit beach.